August 3, 2017 /LGBT News/ Candid, poignant – and at times darkly hilarious – Michael Ausiello’s SPOILER ALERT: THE HERO DIES: A Memoir of Love, Loss, and Other Four-Letter Words (Atria Books; September 12, 2017; $26.00) chronicles a fourteen-year love affair that culminated in a final year of illness, resilience, and, tragically, death. Ausiello, founder and editor-in-chief of TVline.com, and one of the most respected journalists working the TV beat, pulls no punches as he recounts his husband Kit Cowan’s battle with a rare cancer. Far more than an account of a harrowing medical ordeal, however, SPOILER ALERT: THE HERO DIES is a classic love story filled with humor, empathy, and inspiration. It was basically love at first sight when Michael and Kit Cowan met, and after thirteen years together their lives had settled into a comfortable familiarity that was not without its unconventional aspects. Having sold their Manhattan apartment, the two men were keeping separate addresses, but remained a committed couple, still living together for all intents and purposes. Road trips to New Jersey to shop at Target and Ikea—where Kit could indulge his love of clean design and bargains—were still de rigueur, and the two cherished each other’s idiosyncrasies as only a long-together couple can. Even through rough patches, Michael and Kit had always enjoyed an honest and comfortable relationship. Michael recounts, for instance, how any insecurities about his body, a holdover from his chubby youth, evaporated when he was with Kit. When Kit was diagnosed with a rare and very aggressive form of neuroendrocrine cancer, Michael would become his fierce advocate. Navigating the medical system, often told conflicting things by different doctors, the two bravely faced the last eleven months of Kit’s life. In many ways, Kit’s illness reignited their romance. Although they had long stood for marriage equality, they had felt no particular need to marry themselves. Three days before Kit began chemo, however, they went downtown to City Hall and, amid a raucous comedy of errors, became husband and husband. As the months of treatment progressed, the cancer metastasized, and the prognosis grew worse, Michael and Kit faced each new obstacle with as much grace and humor as they could muster. Kit died on February 5, 2015. SPOILER ALERT: THE HERO DIES is a deeply personal story. Ausiello revisits and shares his poignant social media posts from throughout the ordeal, and with hindsight writes with tender honesty about his emotions through the darkest year of his life. This extraordinary memoir, marked by candor and bravery, is a gift to anyone facing equally hard times. But it also will speak to anyone who has experienced the complicated, messy, imperfect course of love and the inevitable loss that often accompanies it. Michael Ausiello is the Founder and Editor-in-Chief of TVLine.com, a television entertainment website owned by Penske Media that launched in 2010. Ausiello began his publishing career in 1997 as a senior news editor at Soaps in Depth magazine before moving over to TV Guide in 2000. During his eight-year tenure there, he wrote for both the magazine and its website. 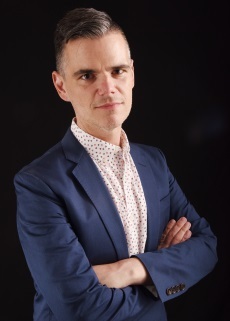 Ausiello's columns at TV Guide included "The Ausiello Report" – a weekly print column that expanded into a regularly updated blog online – and "Ask Ausiello," an exclusively online weekly Q&A that he also conducted after moving over to Entertainment Weekly in 2008. Ausiello has also contributed commentary to media outlets such as Today, Good Morning America, Entertainment Tonight, Inside Edition, Extra, and Access Hollywood. He lives in New York City. Grand article. I’m most absolutely curiosity in this one. I am in actuality happy with article excellence and direction. This post is spot on in educational how some beliefs apply to any script location. Thanks a lot for protection huge stuff. I am enormously a good covenant thankful used planned for this place. Thanks a lot for guard massive things. Shared Cara mengatasi jantung bocor nice Cara menghilangkan biang keringat Thank you very much..
Gonna find the book. Thank you for sharing!! Find out when you are separated from your spouse. Find out who you are in this world and what you need to be happy. I think the most important thing in life is to find the self because only by seeing you can do anything else.The key to open every door of science is question mark; Most of our great discoveries are the same, but the wisdom of life often determines where to go when something is wrong ask the question why. Each time you rollover a credit, the intrigue will be stacked onto your adjust. On the off chance that you really can't pay off your advance on time, you should pay down as quite a bit of it as you can each term keeping in mind the end goal to bring down the measure of intrigue which will apply to the current adjust. A few people will just pay the expenses so as to shield the adjust from expanding, yet having a similar sum at regular intervals to pay will accomplish nothing for you however broke. Seiring dengan perkembangan teknologi yang semakin canggih, penyebaran informasi ke seluruh dunia menjadi semakin cepat. Salah satu informasi yang paling ditunggu oleh setiap orang di seluruh dunia adalah berita sepakbola. amazing news! thanks for sharing. Awesome articles and extraordinary format. Your blog entry merits the greater part of the positive criticism it's been getting. Very nice blog thanks for sharing. this is information that is very important to me and also to other readers. Interesting post in this site.. Has interesting ideas and is very useful. Thank you very much for for your great information. It really makes me happy and I am satisfied with the arrangement of your post. You are really a talented person I have ever seen. I really like your article, it makes a lot of people amazed and I'm included, hopefully after this I can learn a lot from you. 164 comments so far. What do you think?